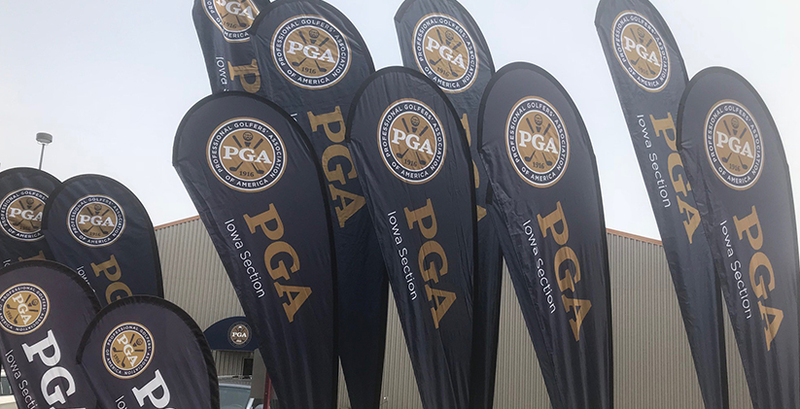 Riverside, IA – The Iowa PGA has three events coming up this weekend and into Monday. The Iowa PGA Junior and Pee Wee Spring Series #1 is scheduled for Saturday, April 14 at Terrace Hills Golf Course in Altoona, IA. The Junior-Senior Draw is set to take place on Monday, April 16 at Otter Creek Golf Course in Ankeny, IA. At this time, the Junior and Pee Wee Spring Series #1 are still scheduled to be played on Saturday, April 14. The Iowa PGA is monitoring the weather conditions and will reevaluate the conditions tomorrow at 2:00 p.m. If deemed necessary, the Iowa PGA will cancel the event and work to reschedule it. The pairings and tee times for the Iowa PGA Junior Spring Series #1 are listed on the tournament information page. The Pee Wee Spring Series #1 pairings and tee times are also list on its tournament information page (TIP) and can be viewed by clicking here. Along with pairings and tee times, participants can find general information about the tournaments and the schedule of events on the TIP. The Junior-Senior Draw is still expected to play on Monday, April 16 at Otter Creek Golf Course. The Iowa PGA will continue to monitor the weather throughout the weekend. For the time being, the Iowa PGA is proceeding as if the Junior-Senior Draw will be played as normal. Updates will be provided once final decisions have been made. To keep up with all the Iowa PGA’s news and updates please visit IowaPGA.com or our all new IowaPGAJuniorGolf.com, and follow us Facebook, Twitter and Instagram.